Hello there and thank you for stopping by today. Today is the third day of the MFT September Release Countdown. Only 3 days until the new release (yay)! Be sure to head over to the MFT Blog for full set and die reveals for the day. This release is packed full of gorgeous new products. My card today features the new Label Maker Stamp Set, Label Tape Dies, and Fall Floral Stamp Set and Dies. I really wanted something sweet and bold. The image is framed with the negative die cut, which is framed with a Stitched Frame. I added the sentiment and a piece of twine to accent the focal image. 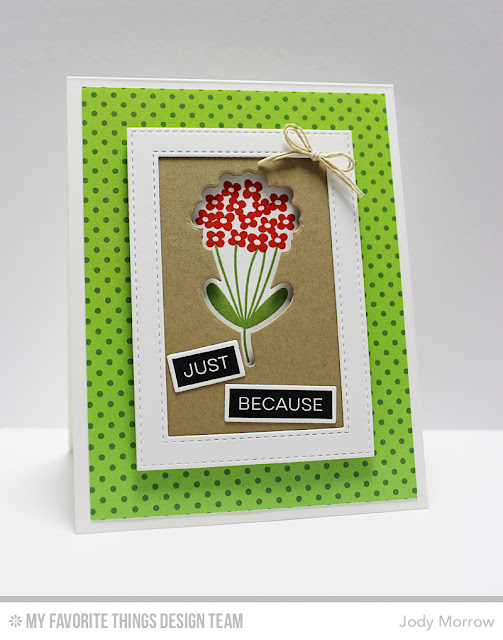 In the background, I used a piece of patterned paper from Dots & Stripes Fresh. Easy peasy! These products and many more will be available for purchase in just three days, on September 1 at 10 PM EST. Be sure to check out the MFT Blog to see what the rest of the team has come up with today. What a cute card Jody. I love how you did a reverse die cutting image, what a great idea! 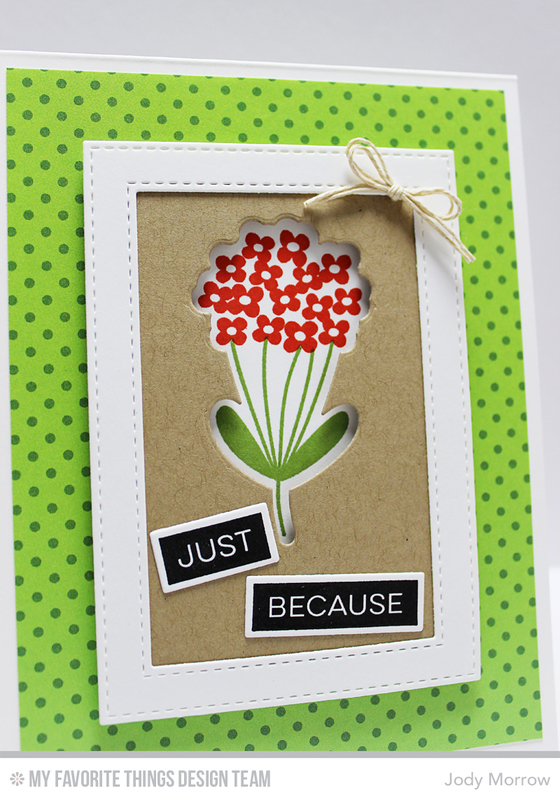 Reverse die cutting--what a fun idea! Love your card! so clean and pretty card!